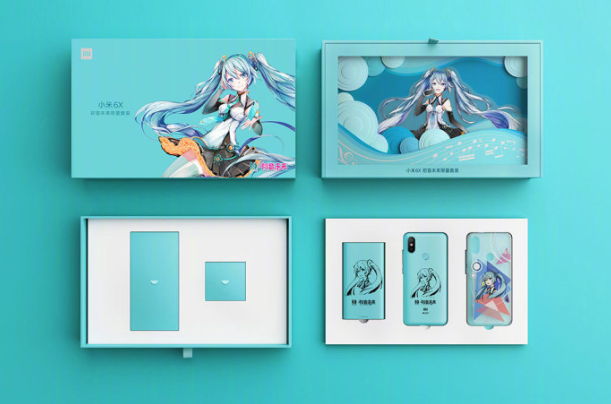 Xiaomi Mi 6X Hatsune Miku Edition Goes Official With 2,099 Yuan ($317) - Playfuldroid! 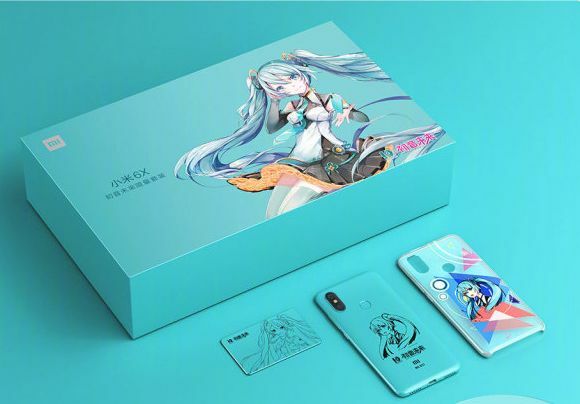 After launching the Redmi Note 4X Hatsune Miku Edition in the previous year, xiaomi is now ready to launch the all new Mi 6X Hatsune Miku Edition smartphone. The handset comes in a special package and since it is a limited-edition phone, only 5,000 units will be sold globally. The box package includes metal nameplates, customized transparent soft plastic protective cover, 10,000mAh power bank and gift cards. The Hatsune Miku design is carved on the rear side of the phone and it comes with exclusive themes. The internals of the phone are same as the regular Mi 6X. 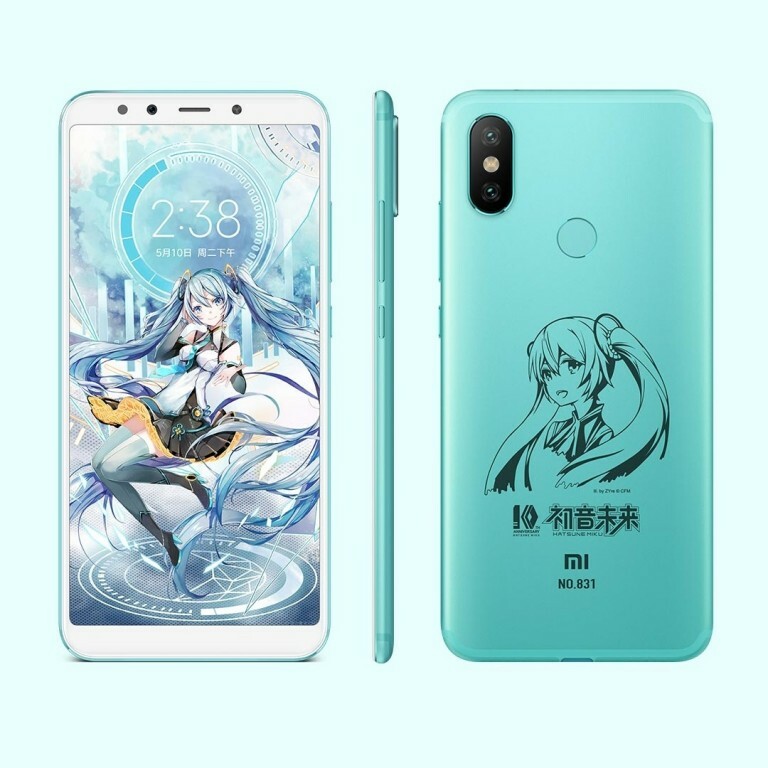 Hence, the turquoise colored Mi 6X Hatsune Miku Edition features a 5.99-inch display that produces FHD+ resolution of 2160 x 1080 pixels and an aspect ratio of 18:9. The screen is protected by Gorilla Glass 3. The Snapdragon 660 chipset is present under the hood of the smartphone. The backside of the phone is fitted with a dual camera setup that includes 12-megapixel Sony IMX486 as primary sensor and a 20-megapixel Sony IMX376 secondary lens. A 20-megapixel camera is available on the frontside of the phone. It receives power from 3,010mAh battery. The Mi 6X Hatsune Miku Edition has 64 GB of native storage and 6 GB of RAM. It carries a price tag of 2,099 Yuan ($317). The reservations for the Mi 6X Hatsune Miku Edition will begin today at 10 AM in China. The official sales of the smartphone will begin on Xiaomi Mall starting from July 10.